The University of New Mexico Alumni Association has announced the recipients of the prestigious 2017 Winter Awards. The recipients include: James F. Zimmerman Award – David Campbell, Bernard S. Rodey Award – Loren Kieve, Erna S. Fergusson Award – Stephen Ciepiela and Faculty Teaching Award – Amy Brandzel. The 2017 Winter Award recipients will be honored at the UNM Alumni Association’s Winter Award Dinner on Thursday, Feb. 16 at the Albuquerque Country Club. Reception begins at 5:45 p.m. with dinner served at 6:30 p.m. Tickets are $35 per person and seating is limited. Reservations are required. RSVP and purchase tickets online by visiting the Alumni website or by calling the Alumni Relations Office at 505-277-5808. The deadline to RSVP is Friday, Feb. 10. Campbell has had a long and distinguished career filled with contributions to the community, New Mexico, the University and the world. Following service as a Peace Corps volunteer in Africa, he worked as special assistant to Mayor Harry Kinney, as the chief city attorney for Mayor Louis Saavedra, and as the chief administrative officer for Mayor Richard Berry, as well as an attorney in private practice. Campbell chaired the UNM School of Public Administration Advisory Board, and chaired the Explora Science Center and Children’s Museum Board. 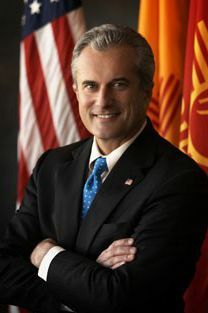 After a lifetime of service to New Mexico, Campbell joined the U.S. Foreign Service in 2011. He served as vice consul at the U.S. Consulate General in Guayaquil, Ecuador and as political officer for the U.S. Embassy in Mauritius and Seychelles. Currently, Campbell is serving as East Africa Affairs desk officer at U.S. Department of State in Washington, D.C.
Campbell has been extensively involved in civic affairs in New Mexico. He chaired the Good Government Group from 1986-92; chaired numerous government and ethics reform efforts, including the effort to combine city and county governments; and led the City Charter Review Task Force. Campbell has served on the boards of the United Way, Economic Forum, Golden Apple Foundation and the Disciplinary Board of the New Mexico Supreme Court. Kieve practices law in San Francisco. 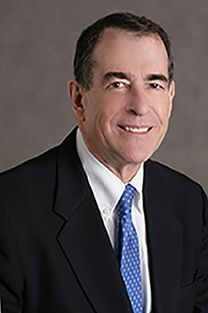 He is listed in The Best Lawyers in America and, for the fifteenth year in a row, as one of the top “Super Lawyers” in the Bay Area. Kieve is a member of the American Bar Association House of Delegates and has held ABA leadership positions since 1987. He is a director and past co-chair of the Lawyers’ Committee for Civil Rights of the Bay Area, and serves on the Board of Trustees of the national Lawyers’ Committee for Civil Rights. He previously was on the Board of Trustees of the State Bar of California. He attended Stanford and has law degrees from Oxford University and The University of New Mexico. Kieve chairs the board of the Institute of American Indian Arts in Santa Fe as a U.S. Presidential appointee. During Kieve’s terms as chair, the IAIA built its first campus, greatly expanded its campus and curriculum, renovated and expanded its Museum and is embarking on a new Performing Arts Center. Kieve chairs the National Advisory Board of Stanford’s Center for Comparative Studies in Race and Ethnicity. He has been inducted into Stanford’s Multicultural Alumni Hall of Fame. Ciepiela received an athletic scholarship to UNM where he earned his bachelor’s and master’s degrees. A valued member of the UNM Alumni Association for more than 34 years, Ciepiela has served in many capacities including association president in 2002. He has also served as a board member, and president in 1988, of the Alumni Letterman. 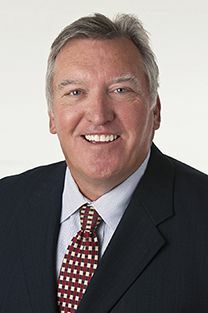 Ciepiela has received the Alumni Association’s Zia Award, New Mexico Business Weekly’s Top Performing CEO Award, Albuquerque Chamber of Commerce Harry E. Kinney Good Neighbor Award, and a Community Inspiration Award for his work with Roadrunner Food Bank. Associate professor of American Studies and Women Studies at the University of New Mexico, Brandzel has been a part of the University’s community as a faculty member since 2007. 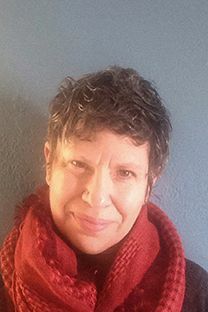 Brandzel is an intersectional, interdisciplinary scholar, who works across the connections and contradictions within feminist, GLBT/queer, postcolonial and critical race theories on identity, citizenship, law, history, and knowledge production. Alongside the faculty at UNM, she works to build the University’s offerings in postcolonial, feminist and queer studies. Brandzel works closely with graduate and undergraduate students and aims to challenge and inspire her advisees. In addition to being captivating in classroom, Brandzel is a Faculty Advisor at UNM’s LGBTQ Resource Center. She has served on the Ad-Hoc Faculty Senate Teaching Committee and the Ad-Hoc NEH Summer Stipend Committee. Brandzel was a Faculty Senator for the UNM Faculty Senate from 2009-11. She also is a member of the editorial board for “Feminist Formations.” Brandzel received her bachelor’s degree from the University of California at Santa Cruz, her master’s degree from New York University and her Ph.D. from the University of Minnesota.